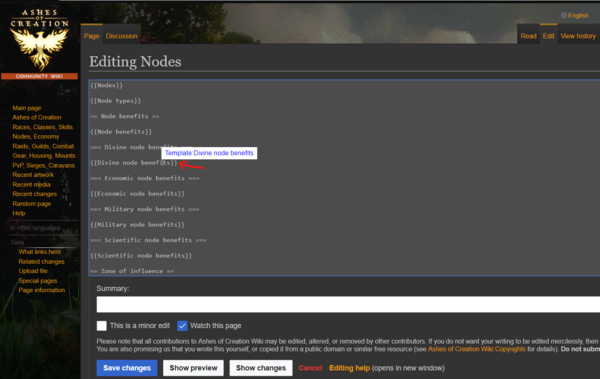 There are three easy ways to create a new article in the Ashes of Creation Wiki. Click on a red link in the wiki. Clicking a red link will take you to the edit page for the new page. If you search for a page that doesn't exist in the wiki (using the search box) then you will be provided with a link to create the new page.